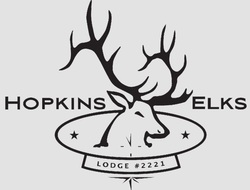 The Hopkins Elks lodge is a member of the Benevolent and Protective Order of Elks - the largest Fraternal-Charitable Organization in the United States dedicated to service to our communities and to our country. We are located in downtown Hopkins, Minnesota, also known as America's Raspberry Capital, approximately 10 miles west of Minneapolis. Our lodge is open to local, state and national members. We offer a dining room, bar, pull tabs, big screen TVs and lots of friendly faces. We meet the 2nd and 4th Mondays of the month at 7:00 pm. Teaming Up For Teens is a program of Hopkins Elks Lodge #2221 that supports the needs of homeless and/or teens in need in the Hopkins, Minnetonka, St. Louis Park and Excelsior area. The Hopkins Elks Lodge has made a commitment to reach out to at risk teens in our community who, at a crucial time in their lives, could use extra help and encouragement. ​Welcome Home Veterans is a program designed to give homeless veterans a fresh start. Our lodge provides a veteran with a welcome home kit containing basic necessities such as bedding, towels, microwave, pots, pans, dishware, glassware and more. Check out our Welcome Home Program page for more information. Stop in an enjoy one of our regular menu offerings such as our Thursday Grill Night or check out our event calendar to see what's happening at the lodge. We have meat raffles, happy hour specials, a Bean Bag league and more! The Minnesota Elks Youth Camp is a co-ed camp for deserving youth of Minnesota, ages nine through thirteen. Most campers are referred to local Elks Lodges through adults who know the child's family. The Benevolent and Protective Order of Elks pay all necessary camp fees for campers.